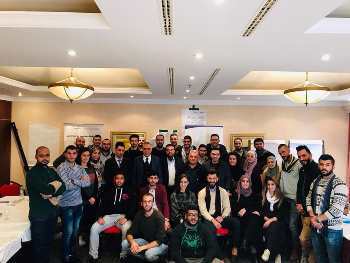 Ramallah -- MIFTAH carries out interventions within its program, “Empowerment of Youth Leaders” in cooperation with APIC (Arab Palestinian Investment Company). 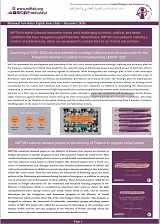 These entail the preparation of a political youth document as a unifying framework for reviving the General Union of Palestine Students [GUPS] and a continuation of the dialogue with representatives from political factions, the PLO and student union councils. As part of this endeavor, MIFTAH organized a three-day winter camp at the end of last month entitled, “We are more entitled than others to lead the bodies that represent us.” The camp included a review of the political youth document and organized discussion sessions with public and political figures. It also included drafting a two-year action plan and 2019-2020. The camp included representatives from student blocs in universities and also representatives of student union councils and members of the Palestinian Political and Social Active Youth Network. The Youth camp’s activities revolved around a review of the political youth document. The participants first proposed that by student union councils adopt the document so it could become a general framework for the all student movement values and used to disseminate a culture of democracy, pluralism and the unity of the homeland. The second focal point was reviewing the factsheet and policy paper on the amendments to GUPS’ constitution. This, they said, could better equip them to deal with any new developments and also allow them work more dynamically to coincide with the needs and rights of Palestinian university students. As for the third focal point, the youth groups reviewed a plan for support young leaders and activists and set a general framework for interventions over the next two years in order to continue efforts to develop a unifying concept on youth issues. Most importantly they said, was focusing on reviving youth bodies, their representation by the youths and proposal of policies that support youth efforts in achieving their aspirations. 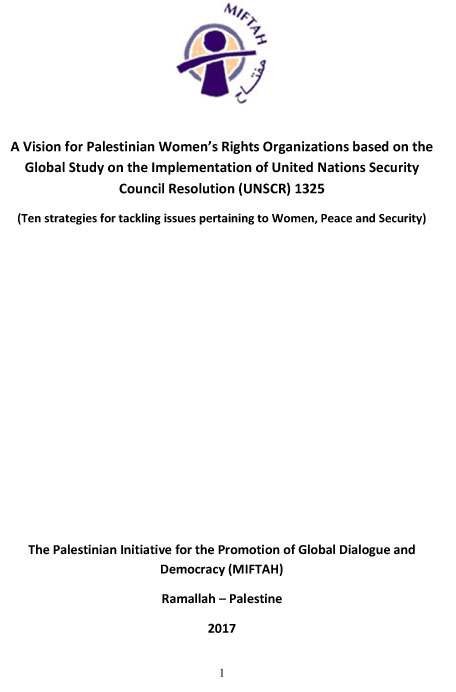 Some of the most significant interventions in the plan include: integrating university students in actions based on their causes such as : youth representation in the Palestinian system and the PLO; and interventions by parties and factions to press for guaranteed representation of youth in leadership positions in the Palestinian political factions. The meeting closed with a special session that hosted representatives of parties and factions to discuss and present the plan for reviving GUPS and for boosting this plan to support MIFTAH’s efforts in reactivating the Union in a way that guarantees youth representation in the PLO structural bodies and therefore the advancement of the PLO and the revival of its popular unions. Attorney Mohammed Hadiyeh, legal advisor at the Negotiation Support Unit (NSU) who participated in the camp said, “The workshop was a starting point for opening a dialogue between youth groups at the camp and various officials and factional figures within the PLO. The importance of such open dialogue is to introduce youths to the ways and mechanisms for managing Palestinian official and national action including its difficulties, obstacles and successes.” He continued, “The dialogue included several interventions on GUPS in terms of conducting a historic review of its role, attempts to evaluate the reasons for its setback, foreseeing the role it could play in the future and the role youths play in reviving it.” Hadiyeh explained that the presentations focused on the Oslo and post-Oslo eras and the setback they witnessed in the role of the PLO, its departments and institutions. Focus was also placed on the divisions and fragmentation that followed, which impacted the Palestinian national fabric, in addition to the dangerous impact of the absence of national unity as a result of the ongoing political division and its adverse effect on ending the occupation. He continued, “The workshop concluded with a recommendation by the youth to adhere to national unity and not to be dragged into factional disputes. They also recommended restoring their leadership and representational role through identifying their demands through a clear and bold vision and through taking the initiative to implement them on the ground. No doubt, they will find support,” he said. In this regard, MIFTAH project coordinator Hassan Mahareeq said the camp was ‘part of MIFTAH’s efforts to promote the active participation of all components of Palestinian society, in particular youth and women. This, he maintained, is achieved through empowering young and women leaders to be capable of assuming key portfolios and of influencing and creating change at the local and international levels.” Mahareeq said this effort was based on the MIFTAH’s approach towards enhancing democracy and good governance through integrating these social sectors in the various decision-making levels.